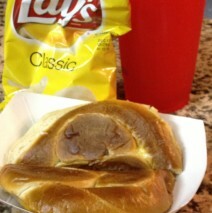 Pretzel bread and melted American cheese with chips and drink. Peanut butter & Grape Jelly on White Bread. 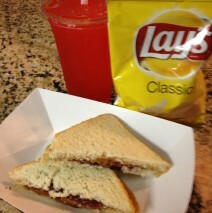 Includes Chips & Drink.